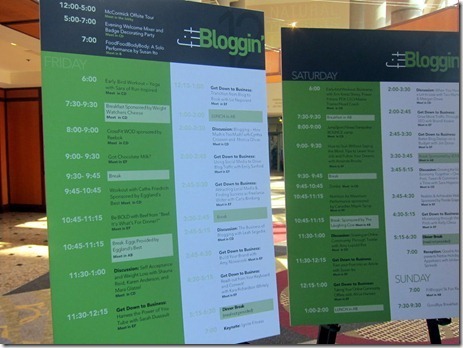 It took me nearly two years of blogging to feel the desire to step out of my comfort zone and attend a blogging conference. 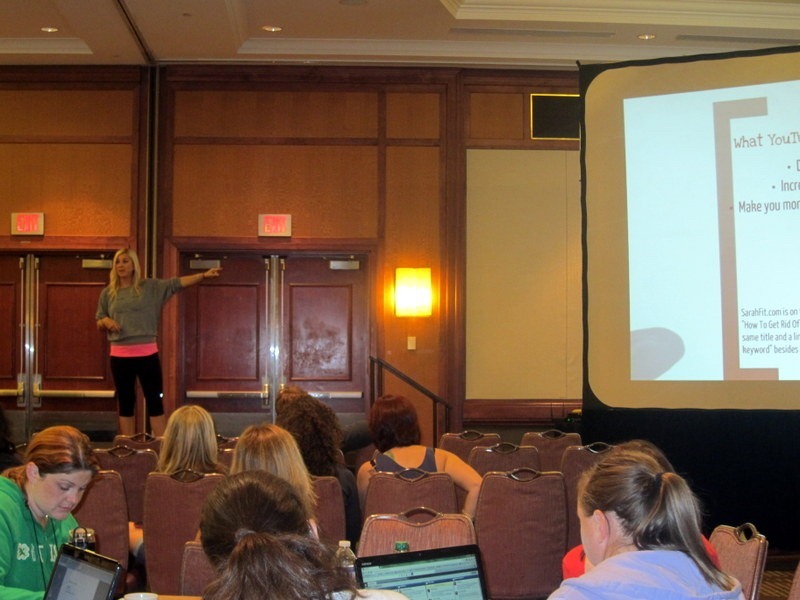 Once the little “I want to attend a blogging conference” seed was planted in my brain, FitBloggin’ was the conference that intrigued me most because I read review after review about the conference that said the environment was so inviting. This year, the organizers even had little silver star stickers that you could place on your nametag if it was your first blogging conference or you came alone which I thought was incredibly awesome. I often feel really awkward approaching someone and randomly introducing myself out of nowhere, but when I saw a little silver star on someone’s nametag, it made me feel like maybe that person was looking for someone to talk to and might not think I’m some overeager looney. Thoughtful little things like that really stand out to me. My first day at the conference was spent hopping from session to session and meeting lots of new bloggers. I really had a blast chatting to bloggers who blog about all sorts of topics ranging from running and yoga to healthy eating and weight loss. Almost immediately when I arrived, I was greeted by Samantha. 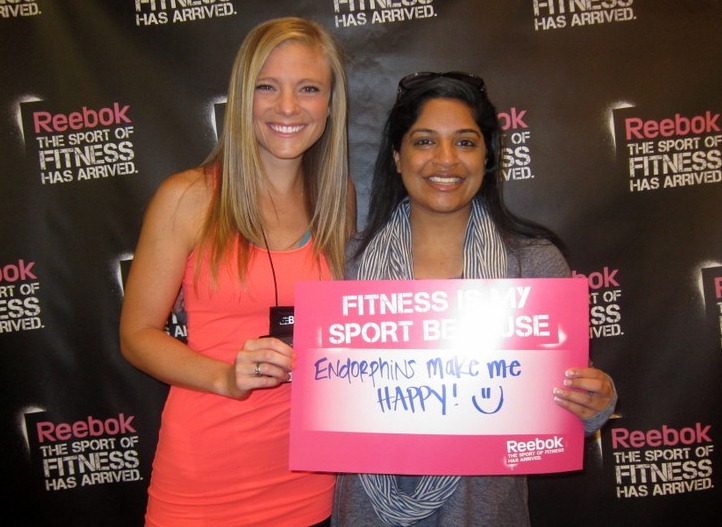 Samantha is a blogger and Zumba instructor and I loved talking to her about Zumba. She’s actually helping to teach a Zumba class at the conference tomorrow morning! I then ran into Sana who I was really excited to meet! 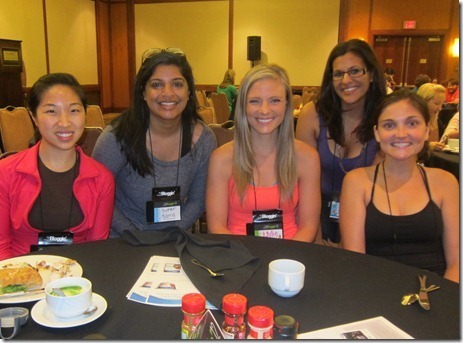 I started following her blog after she commented on my blog once and it was great to see a familiar face. 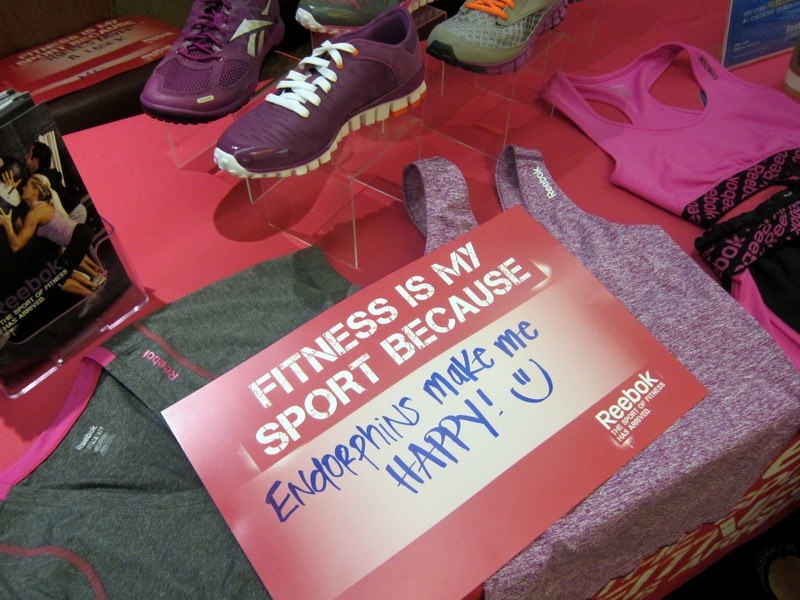 I stole a line from Miss Elle Woods and said that fitness is my sport because endorphins make me happy! 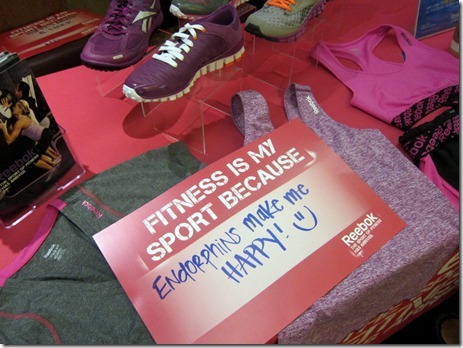 Bright colored sneakers also make me happy! I wore my Reebok SmoothFlex Run shoes to the conference and thought it was cool that the same shoes were one of the featured pairs that attendees could select as part of the swag from the event. 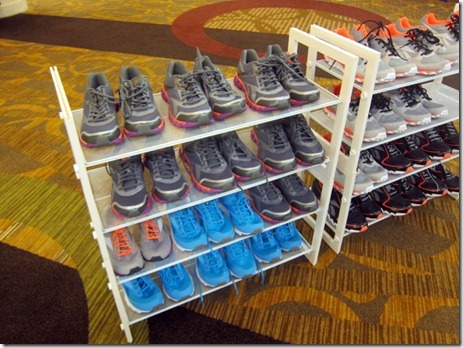 (I actually used them as the background image for my 25 minute incline walking workout!) Aside from my aesthetic love of the neon laces and steel gray color combo, the shoes really are very comfortable and supportive and people were snatching them up like crazy! As for the sessions, I found Sarah Dussault’s presentation about YouTube very interesting. She makes a strong case for bloggers to incorporate videos on their blogs, only further reiterating what I learned at CFLBlogCon last weekend. Key takeaways: Keep videos 3 – 5 minutes long, promote videos most within the first 48 hours they’re posted if you hope to have your video make it on the YouTube homepage, look into becoming a YouTube Partner and JewelBeat sells songs you can use in your videos for $1. 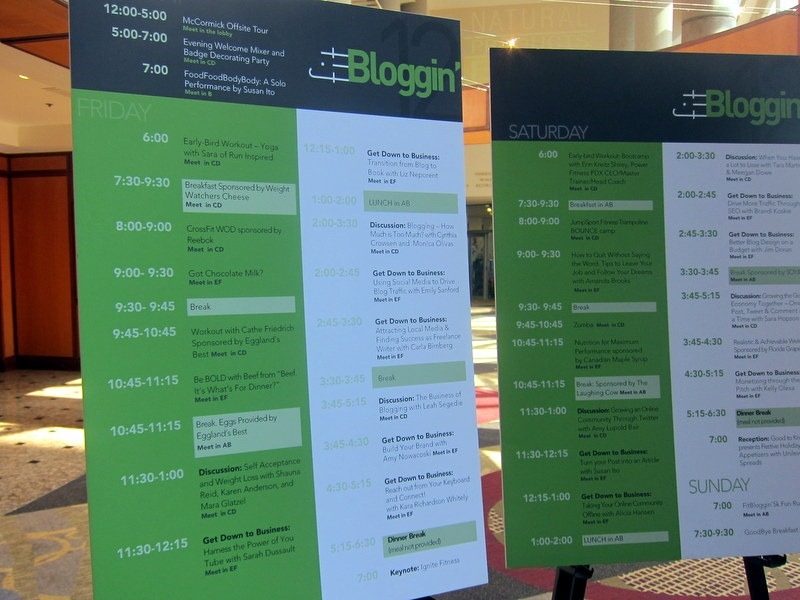 I’m not planning on doing a full run through of the conference sessions like I did with my CFLBlogCon recaps last week since I know a lot of you aren’t bloggers and have zero interest in blogging. I’m sure two weeks of blog conference recaps on PBF might make some of you die a little inside. If you are a blogger and have questions about any of the sessions, feel free to ask away in the comments section of this post! 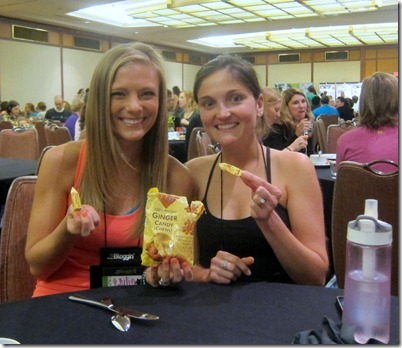 After attending Sarah’s session and a session about writing a book proposal, I met up with Kelly from GNC and she made my morning when she handed me a bag of Prince of Peace ginger candy chews. 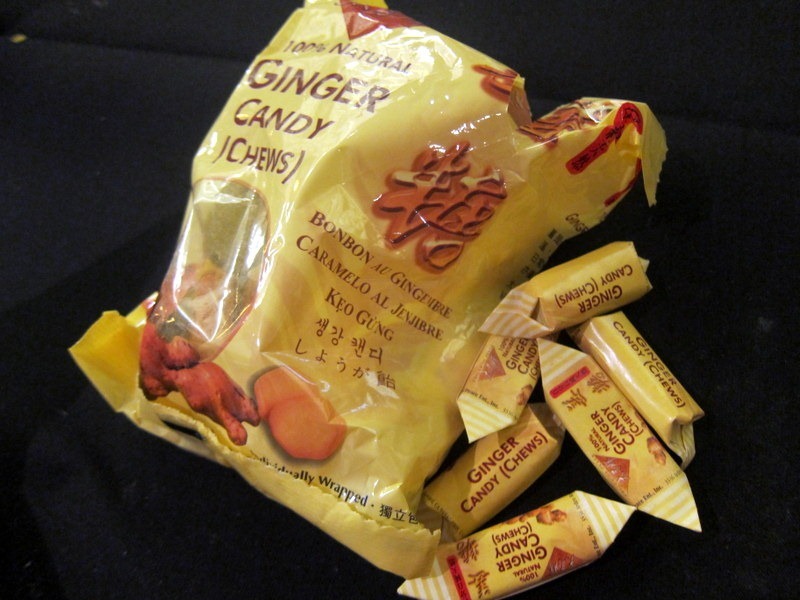 I absolutely love ginger and anything ginger flavored, so this candy knocked my socks off. I kept finding myself unwrapping candy after candy throughout the day. Yum! Lunch at the conference was fresh and flavorful. 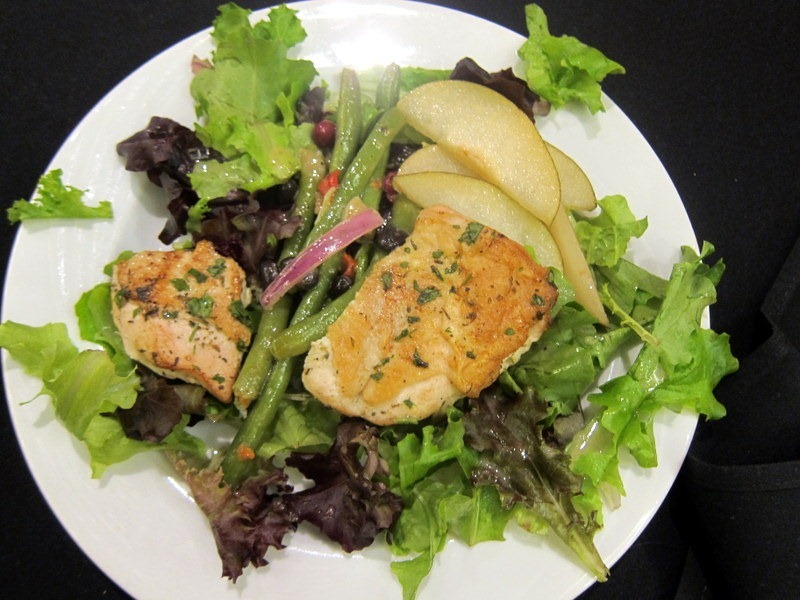 I filled my plate with mixed greens, marinated vegetables, pears and chicken before topping it off with the dressing they had on hand. Followed by more ginger chews, of course. 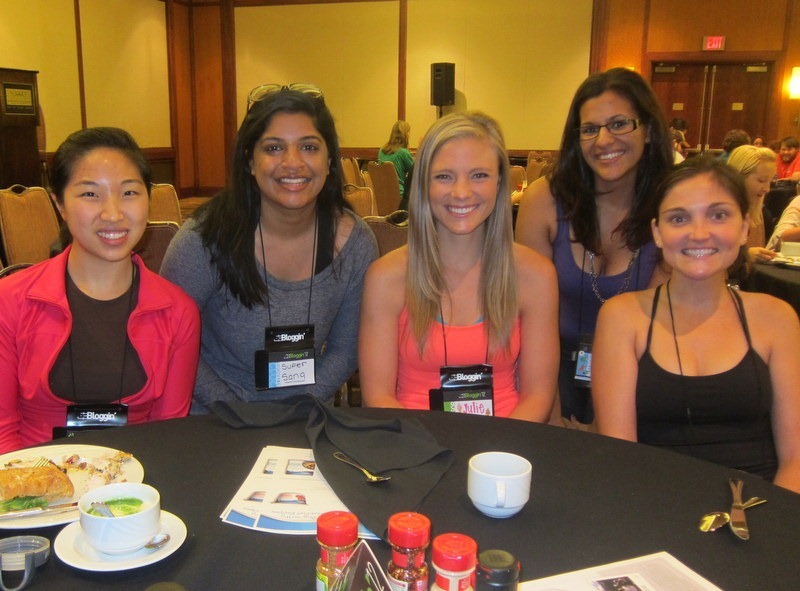 At lunch I met Gabrielle and Michelle and met up with Sana and Brittany. I loved our little table and had a good time laughing a lot. They are a fun bunch! 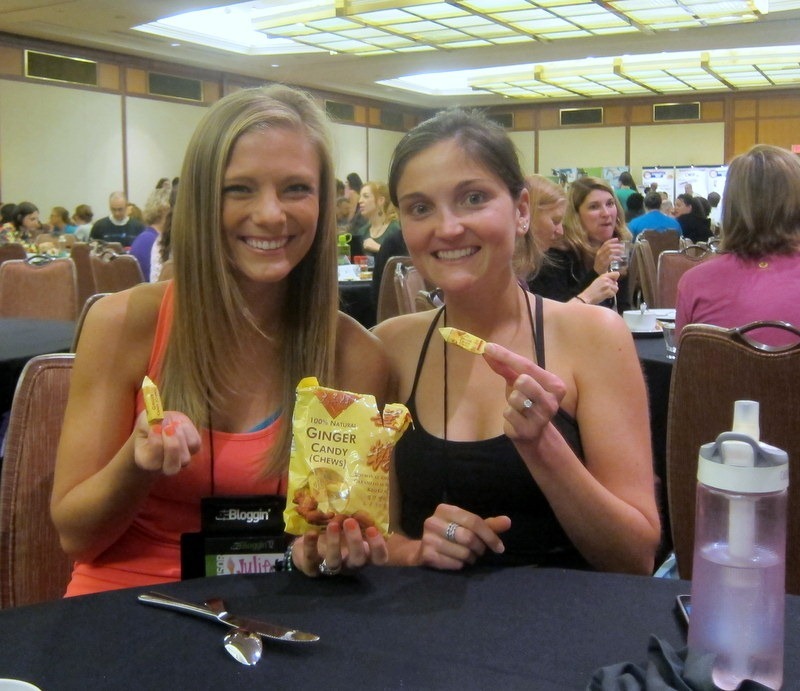 Can’t wait to see what day two of FitBloggin’ has in store!